Payment is either by Credit Card, Paypal, Cheque or School Purchase Order. Payment terms are strictly 28 days from date of invoice. Delivery in the majority of cases is by our nominated couriers. The estimated delivery for normal stock items is 1 to 2 working days to UK Mainland. Where a next day selivery service is chosen delivery will be on the next working day if the order is placed before 3pm. Delivery to Northern Ireland, Republic of Ireland, Isle of Wight, Isle of Man and Scottish Postcodes AB, IV, KW, PA, PH, HS, KA, ZE will be between 2 and 4 working days. Delays may at times be unavoidable due to availability of stock, adverse weather conditions, or other circumstances out of our control. Parcel delivery is during the day 8:00am - 5:30pm Monday - Friday. A signature required upon receipt unless instructions are left to state otherwise. An alternative delivery address can be added at the time of order. Unfortunately ee are not able to deliver to the Channel Islands or BFPO addresses. For orders under £50 the cost of delivery to the UK mainland will be £3.95. There may be additional delivery charges for Mark Harrod Steel and Aluminium goals shipping Scotland and outside of UK Mainland. Please contact us for a shipping quote. Free delivery is given for all orders over £50 to UK Mainland postal addresses. The Soccer Store operates a 365 day return policy. This gives you the confidence to purchase a product with the confidence that you can return the product up to 1 full year after the purchase date. All we ask is that the product is returned in its original packaging with labels attached, where appropriate and that the product is returned in the same new condition as it was received. The returned product must be fit for resale as a new item as you yourself would expect to receive it. Please note that this does not apply to printed kit items. i) When the carrier delivers your order please count the packs you receive & inspect for any damage. ii) It will be noted on the carrier's delivery note, the number of packs you should receive. If the number of packs you receive does not exactly match the number of packs on the carrier's delivery note, please note the number of packs you received on the delivery note by your signature. iii) Damage to the Goods & packaging must be noted on the delivery note next to your signature. iv) Please check the contents of the packages upon receipt. Any shortages or damages within the packages must be reported to The Soccer Store immediately. The goals sold by The Soccer Store come complete with a 12 month guarantee for any faulty parts. Should the goal need to be returned through no fault of The Soccer Store, a £20 return fee will be charged, which covers collection and return charges. Any goals that are returned in an unfit state will result in a refund being denied. A restock charge of 20%, of net value of the goals will be charged to the customer. A return carriage will be charged for transportation back to the manufacturers. Please contact us for a cost to return Mark Harrod Steel and Aluminium goals. All kit orders should be ordered online or confirmed by email or fax to ensure the brand, style, colour, size and personalization are all correct. Orders placed by telephone and not confirmed as above will be entirely at the customers risk. We take care to complete the order to the customers specification but are unable to take responsibility for non-confirmed incorrect orders. Items with personalization (numbers, names and sponsors logos) are non-returnable. We are not able to recommend sizes for garments even where some manufacturers state recommended ages/sizes. This is the sole responsibility of the purchaser and they do so at their own risk. 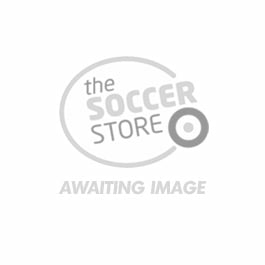 The Soccer Store are not able to accept any cost incurred in exchanging products. Transaction security for The Soccer Store is provided by a third party, Sage Pay. Sage Pay provide very high levels of internet and physical security to ensure sensitive information is never compromised. Credit/debit card details are secured within 128-bit encrypted sessions. Sensitive information is stored on a heavily encrypted database that is protected by multiple government approved firewalls. The Soccer Store provide this site and its contents 'as is' and, to the fullest extent permissible by law, make no warranty or representation of any kind, expressed or implied, including those of merchantibility and fitness for purpose or arising from a course of dealing, usage or trade practice. The Soccer Store have made all reasonable efforts to ensure the information on this web site is accurate, complete and current at the time of its inclusion, however they accept no liability for any inaccuracies or omissions in the web site and The Soccer Store reserve the right to make changes to prices and information at any time without prior notice.